19 people have been injured after a bus plunged into a local house today. 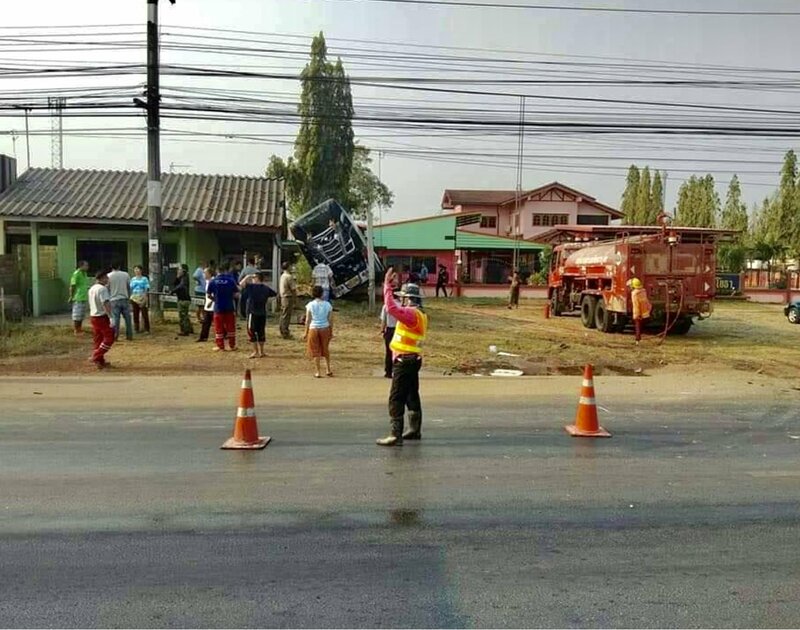 FM 91 BKK reports that the accident happened at 8.10am this morning near Wattana Nakhon District Office in Sa Kaeo, on the Cambodian border, east of Bangkok. At the scene police found 19 people injured as a result of the incident. They were taken to Wattana Nakhon Hospital. Police are investigating the incident and talking to the injured, witnesses and bus driver. the 2 major causes of bus crashes here. If no Chinese onboard, no need for any press conference with "actions". 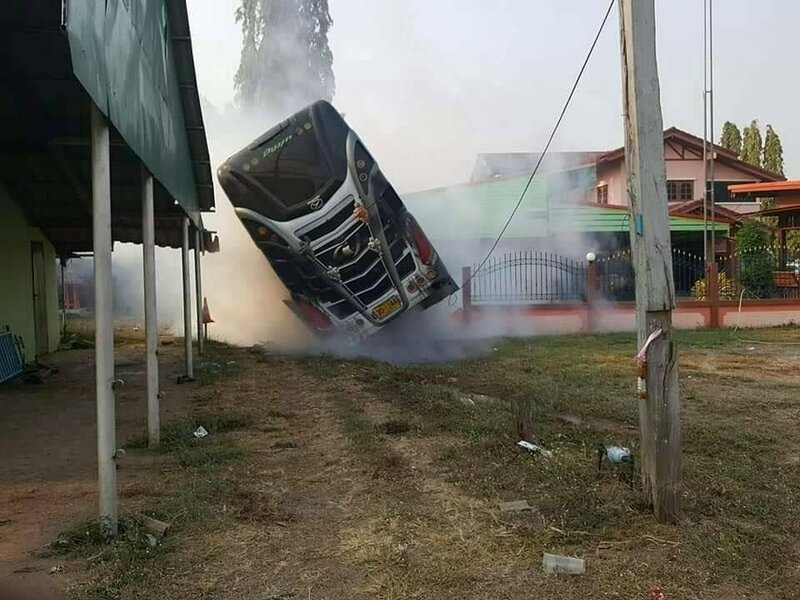 May have been a Burmese driver. What the hell! Did that property just jump outta nowhere and into the direct path of that bus? Judging from the photos on the linked article, he was lucky not to demolish several other buildings too and a concrete column. Difficult to see what happened. There must be a junction directly opposite. The bus was coming down that road and instead of stopping to turn left or right, it went straight on accross the road, then the grass before hitting the building. God forbid what Thai drivers would do with a team of horses. Might have been "Black Ice" ???? Horses & chariots they'd win gold at the olympics for sure !